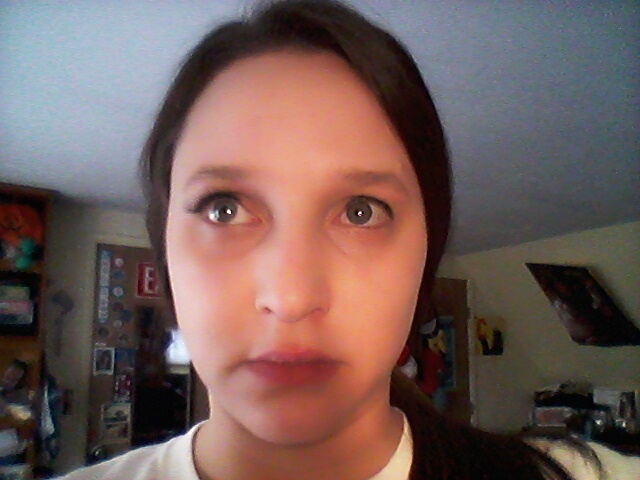 This might be relevant to some of you cosplayers out there: today I tried false eyelashes for the first time! I’d never taken the initiative to try false eyelashes before, even though I’d always wanted to because my eyelashes are very thin and well… sparse. I always assumed it was a complicated and messy ordeal so I never tried them out. However, when I received a free set of Kiss brand “Looks So Natural Lashes” in my Influenster #JadoreVoxBox, I finally had a chance to see what it was all about! One eye with the Kiss Looks So Natural false eyelash applied, the other without. Big difference!! Before applying, I “sized” the Kiss Looks So Natural Lashes by holding them along the lash line and determining how much extra lash needed to be cut off. Then I carefully snipped the edge of the false lashes with a scissor. As part of my normal routine, I put on my BB cream and under eye concealer, as well as eyeliner before attempting to use the false eyelashes. Once I was ready, I used the small bottle of eyelash adhesive that came with the lashes to brush a small amount of glue to the bottom. I counted to 30 (they say to wait 30 seconds before applying, to allow time for the adhesive to become the perfect consistency) and got ready to apply. Gently, I pushed the edge of the false eyelash to the start of my lash line on the inside of my eye. Then I patted it down on the outside corner of my eyelid, and carefully tapped along the entire lashline to make sure the false eyelashes were sticking in the right place. Of course then it was repeat from step 3 for my other eye. After the eyelashes were sufficiently stuck onto my lash line, I proceeded to finish my makeup routine by applying my favorite mascara on both my natural and false eyelashes to help them blend together. I added a bit more eyeliner on top of the false eyelash line to add more depth and create a more dramatic look. 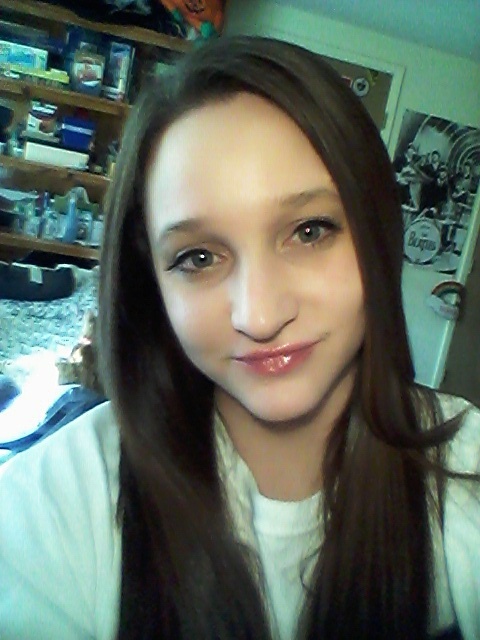 Wanting the focus to be on my eyes, I opted for a shiny lip gloss to finish my makeup. Now that I’ve successfully applied these false eyelashes, I feel really glamorous! I’m definitely addicted now. Most likely I will start wearing these when my band has a live performance, and for fancy events like my sister’s wedding this July. I just want to add that the Kiss Looks So Natural lash set was MUCH easier to use than I had anticipated. It was simple, no mess, no fuss. My makeup didn’t smudge once. It was really a fun experience. Thanks so much for the opportunity to try these out, Influenster! Feeling so glam with my new Kiss false eyelashes! PS – I receive free products to try out courtesy of Influenster. If you’re interested in joining Influenster Nation, please comment or message me and I can send you an invitation!